happened. 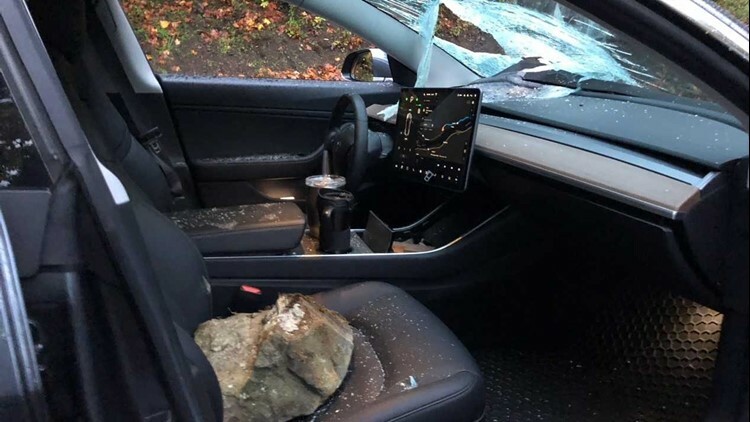 Out of the blue, a 37-pound boulder crashed into his electric car. The impact was massive, shattering a large part of the Model 3’s windshield. road, despite being unable to see due to glass in his eyes and face.